WATCH Cuba without a Castro: What comes next? For the first time in more than half a century, the leader of Cuba won't be named Castro. Raul Castro became president in 2008 after his brother Fidel -- the revolutionary and ruler -- resigned. 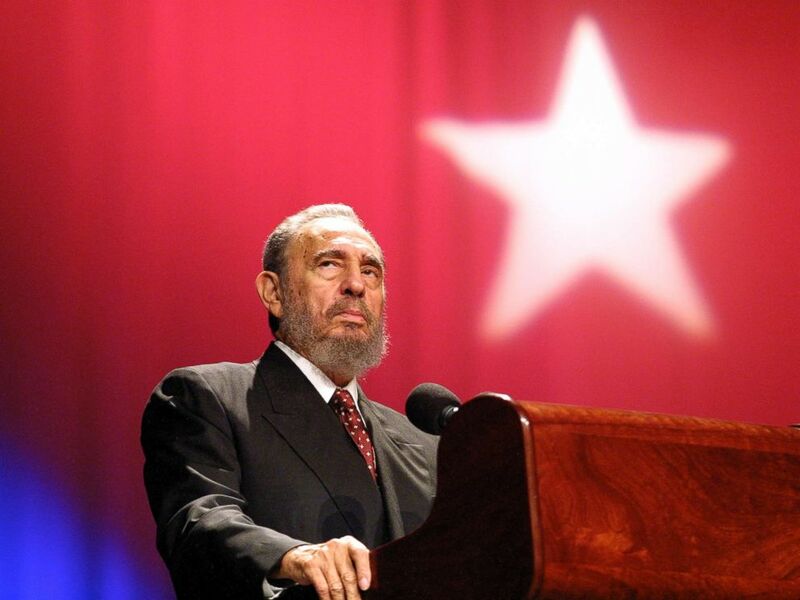 Fidel maintained his position as head of the Communist Party until 2011, at which point Raul also succeeded him there. Fidel died in 2016. "He is adhering to the term limits set in place for senior government and other Communist leadership," said Emily Mendrala, executive director of the Center for Democracy in the Americas. "As head of communist party, he will still have a hand in policy making, but I do see it as a gradual stepping away of the reigns of power." 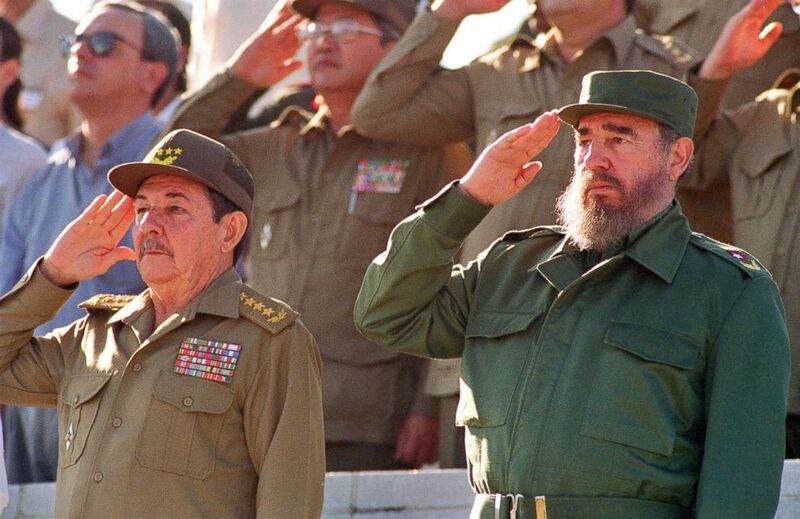 Fidel Castro and his brother Raul (L) attend a parade, Dec. 2, 1996, in Havana, Cuba. The Cuban General Assembly, the island nation's governing body, was set to meet and vote on Raul Castro's successor in February, but elections were delayed due to the damage from Hurricane Irma and delayed municipal elections. That meeting has been rescheduled for later this month. It's expected that the Assembly will elect as president Miguel Diaz-Canel, the current, and first, vice president. "To have someone without the family name or the same aura of revolutionary is a historic shift," Geoff Thale, vice president for programs at the Washington Office of Latin America, told ABC News. "The fact that someone is coming in without the revolutionary legitimacy as the founders of the state, and the heroes of the revolution, isn't just an institutional change." 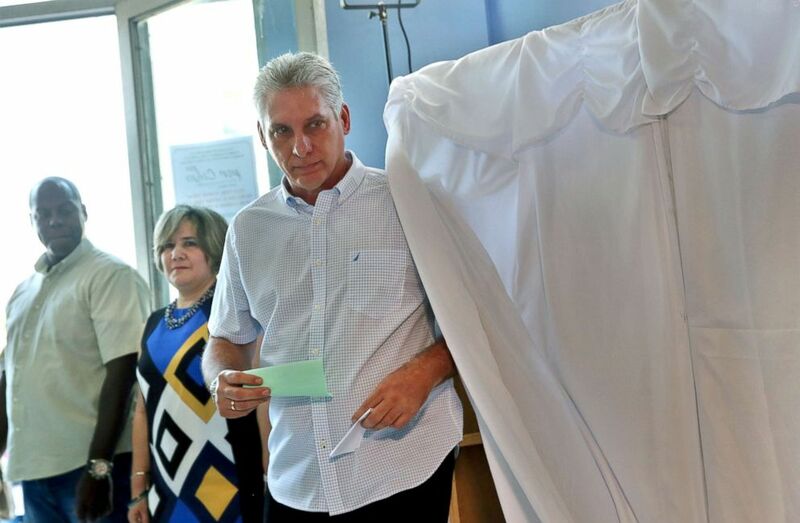 Cuba's first Vice-President Miguel Diaz-Canel, votes in Santa Clara, Cuba, during an election to ratify a new National Assembly, March 11, 2018. A trained engineer and the former minister of education, Diaz-Canel rose through the ranks of the Communist Party before being selected as the country's first vice president. In that role, he has kept a low profile and come to be known as a pragmatist. "He's generally thought of as an effective manager, but a guy inside the system," Thale explained. "He's not there to break the china or disrupt the political system. I wouldn't expect in his first six months we'd see a series of dramatic shifts. But he is going to face serious economic problems and questions of his legitimacy." "He certainly is fresh-faced in that he represents a younger generation," Mendrala said. "How he governs and manages the different political pressures within the Cuban system remains to be seen." 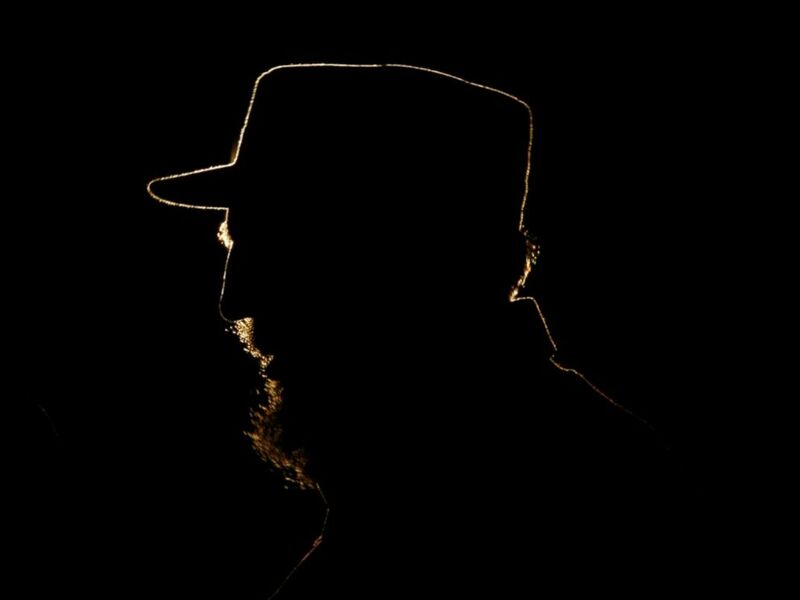 Cuba's leader Fidel Castro speaks in Havana, Cuba, Feb. 3, 2006. "Demographic, emerging cultural trends, U.S.-Cuba policy changing is by no means a sidebar issue," she explained. "Other countries around the world are deepening their commitment and diplomatic ties while the U.S. is on the sidelines." According to statistics from the Center for Democracy in the Americas, entrepreneurial activity has exploded across the island, now accounting more than half a million jobs, about 12 percent of the workforce. If private farmers, agricultural cooperatives and the informal sector, aka "black market economy," are included, that figure jumps to 40 percent. 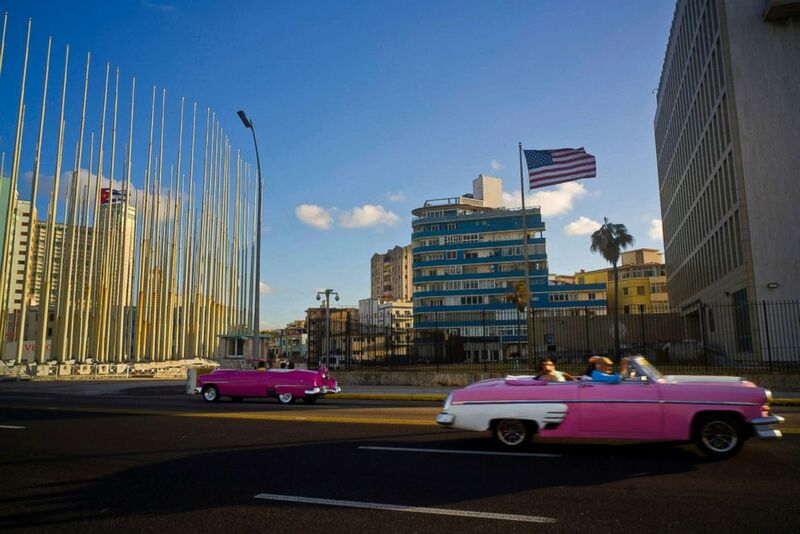 Tourists ride in classic American convertible cars past the United States embassy in Havana, Cuba, Jan. 12, 2017. "The Cuban economy faces very serious challenges," he said. "Growth the past few years has been 1 to 2 percent." Diaz-Canel may also consider currency reunification, as Cubans currently use two systems developed after the collapse of the Soviet Union. It's a step many economists would recommend, Thale said. "Taking a step back, not having a fully staffed embassy, for example, puts us at a disadvantage," Mendrala said. "Family, cultural, academic ties are suffering with consular services in Havana. If the U.S. is leaving a vacuum in Cuba, other countries are filling it." 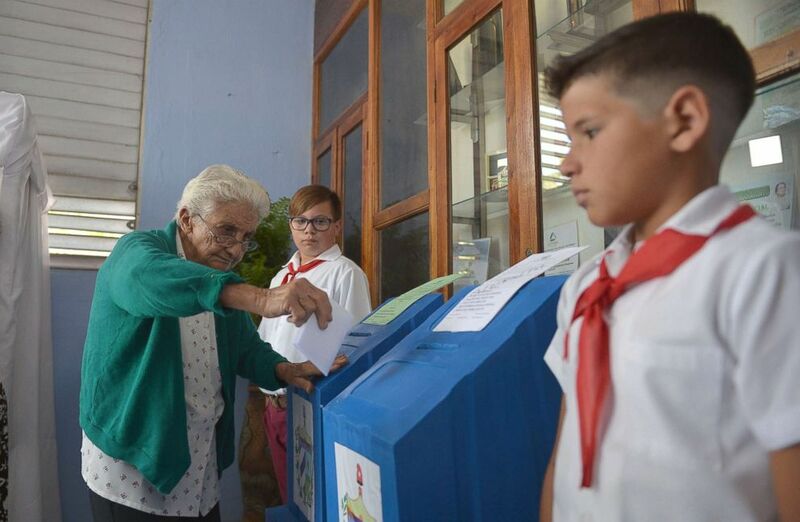 A woman casts her vote at a polling station in Santa Clara, Cuba, during an election to ratify a new National Assembly, March 11, 2018. The U.S. rolled back consular services on the island and significantly reduced staff after a series of unexplained "incidents" that led to an FBI investigation. It's unclear if and how Diaz-Canel's assuming power will improve U.S.-Cuba relations, but Thale doesn't expect dramatic changes, at least not immediately. "A lot of us analysts look and say that Cuba doesn’t have multi-party elections or an entirely free press, but most Cubans see it in reverse," Thale said. "Internally, we want to see a series of reforms move ahead, but we don't want to break the system. "The real question is going to be: 'Are we seeing change? Are they moving?' Rather than judging them by the standards of what political analysts in the United States believe they should be doing." Fidel Castro speaks during a ceremony celebrating the inauguration of emergency classes for high school teachers in the President Salvador Allende school, in the Karl Marx Theatre in this Sept. 9, 2002 file photo in Havana, Cuba.